These are typical comments from evaluation forms after an exciting, interactive, motivating session by The Fantastic Kent Cummins, an author, speaker, and entertainer who uses his lifelong love of MAGIC to inspire and entertain audiences around the world. Do you need material in writing? As an author, Kent has written dozens of books, produced more than a dozen instructional videos, and written several hundred articles in magazines as diverse as Clowning Around and the Reader’s Digest. Are you looking for an inspiring speaker? As a professional speaker since 1970, Kent trains and motivates audiences from Fortune 500 companies and international associations in Europe, Asia, New Zealand, Canada, and throughout the United States. Do you want your group to be entertained? 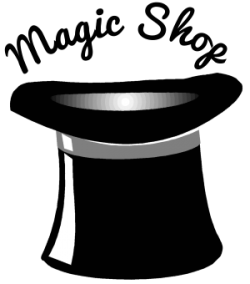 As an award-winning entertainer, Kent combines magic, music, juggling, comedy, and audience participation to create “Magic with a Message” for large and small groups of children and adults. Do you want your team to be more cohesive, more effective, and more productive? Kent’s primary demonstrated talent is teambuilding. Starting with backyard circuses while he was still in elementary school, Kent has created and supervised successful teams in scouting, schools, libraries, the military (Kent retired from the US Army as a Lieutenant Colonel), shopping malls, magic clubs, summer camps, and more. Kent can help you with your team…talk to him today about how.